Subscribe to our email list to receive updates from us? You can unsubscribe at anytime. 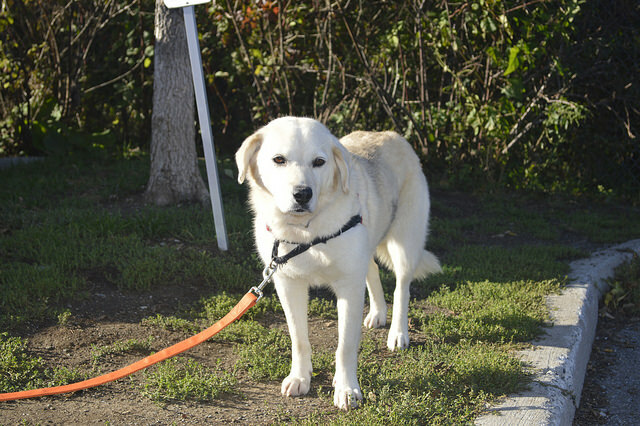 Dakota arrived at the OHS with 21 of her friends from the Obedjiwan reserve in Northern Quebec. 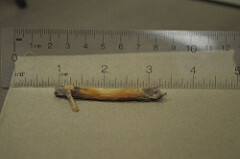 When it came time for her dental check-up, OHS veterinarians found a small stick lodged in her gum line. Imagine the discomfort. 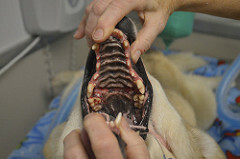 Dakota had to have dental surgery, which cost more than $1,000. Your donation of $10 will help contribute greatly to her continued healing. Please help Dakota – and other innocent animals like her – with your donation right now. Earlier this week, OHS volunteers and staff welcomed 22 adorable stray animals into our shelter. Five kittens, eight cats, seven dogs and two puppies arrived on Monday afternoon from Obedjiwan, a First Nation community in northern Quebec. The dogs greeted the staff with wagging tails; the cats with loud purrs. 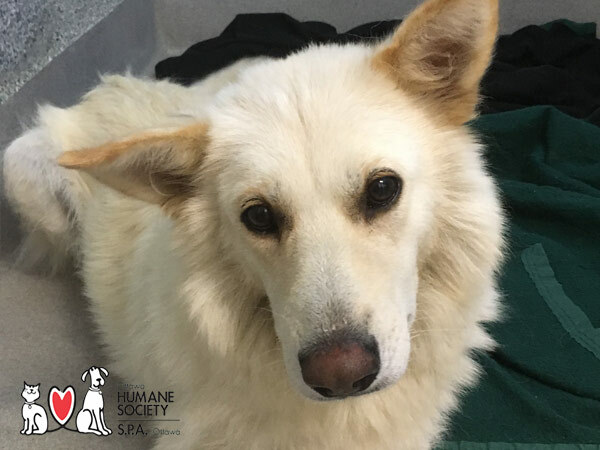 With limited resources for animals in Canada’s northern communities and no veterinarians, many pets are unsterilized, starving and homeless. Countless dogs are shot in a bid to control overpopulation problems. The sad reality in Canada's northern communities is that there are virtually no resources to address animal welfare. At the OHS, we believe it is our responsibility to help animals in jurisdictions that are facing this reality. In partnership with Humane Society International and Chiots Nordiques, we are able to provide help to these vulnerable animals without diminishing the care and attention we give to local animals. This week, we are focusing on flea treatments, vaccines, deworming, microchipping, spaying and neutering for these animals. The OHS clinic staff are working hard to make sure each of these animals is provided appropriate and immediate care. That’s why we need your help: you can give these animals the second chance they deserve with your donation. Please make a small gift towards the cost of their care, and for other animals like them who need a second chance.